Volunteers help block, split and stack firewood as part of the wood bank firewood program at the United Way of Lamoille County. January's Brave Little State looks at the pros and cons of heating with wood. About 38 percent of Vermont homes burn wood for some kind of heat. Almost a fifth of all households rely on wood as their primary way of staying warm. But when Vermonters who heat with wood face the choice of heating their home or putting food on the table, it often falls to donation-based and volunteer-staffed wood banks to offer enough wood to help out. A volunteer with the United Way of Lamoille County cutting a log for the nonprofit's firewood program. 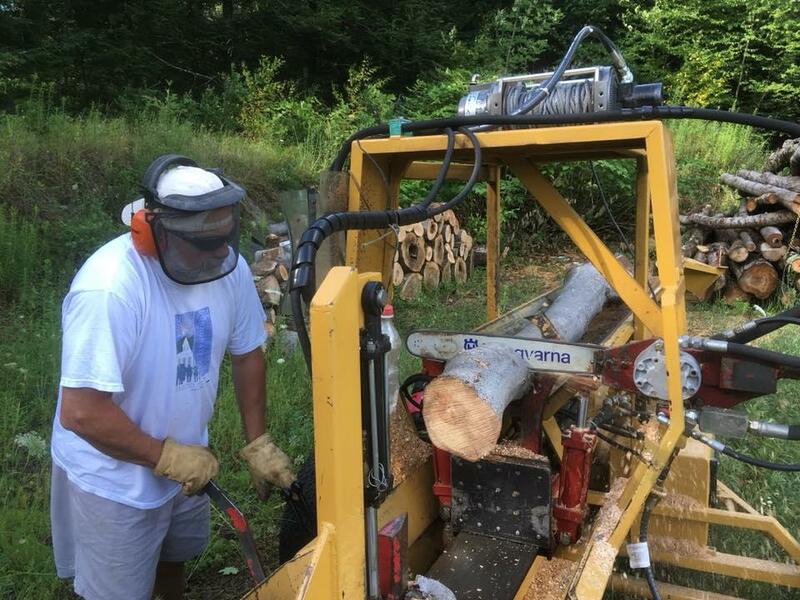 Jim Curran with the United Way of Lamoille County runs the nonprofit’s firewood program. Most of their wood—about 50 cords a year—comes through donations of culled hardwood from state timber sales. Curran says one of the biggest challenges is meeting emergency heating needs in mid-winter. "On Friday, we had four cords go out," Curran said. "We loaded it up by hand, to haul the wood where it needed to get to go and, you know, we spent about three hours loading wood to get it in before the sub-zero temps and the big snow storm." Curran says it takes about 125 volunteers a year to turn the donated logs into split firewood and deliver it to homes in need. The need for volunteers grows during emergency storms like those that hit Vermont last weekend. Curran says all recipients of wood from the program have to help with the program in some way, unless they’re over 65, disabled or have a medical condition. Help ranges from blocking, splitting or stacking wood or driving deliveries. Curran says people exempt from volunteering still help with deliveries or by simply providing water and support for other volunteers. You can hear the voices of homeowners who burn wood as the primary way of heating their home, as well as the loggers who harvest that wood and the environmental and economic trade-offs of heating with wood, in this month’s Brave Little State. “What are the environmental and economic benefits of wood heat in Vermont? And then what are the costs to that?” That question comes to Brave Little State from Coco Moseley of Lincoln, who – like many Vermonters – heats her family’s home with an antique wood stove. The push for renewable energy has been strong in Vermont. So strong that the grid in northeast Vermont sometimes gets so overloaded that renewable energy projects are ordered offline. Winter is back with a vengeance. 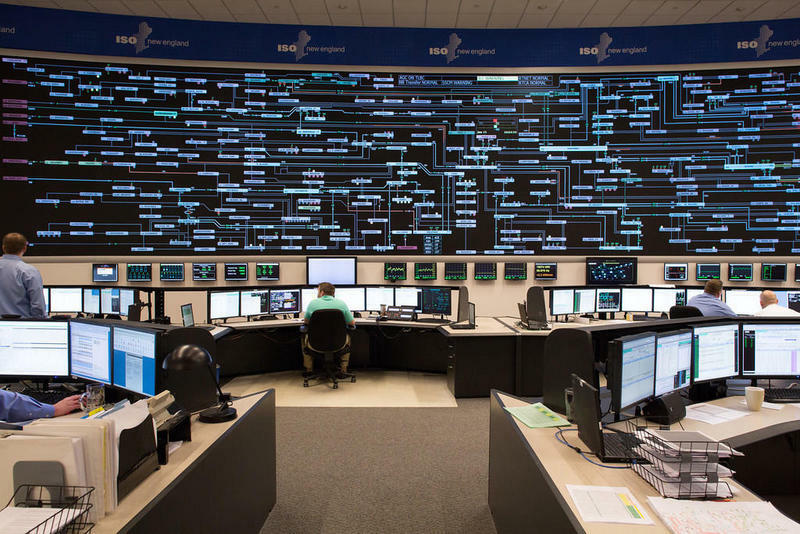 And this year, New England is using a new method to ensure the electric grid can work reliably through cold, snow and ice. It’s called “Pay for Performance,” and it’s a competitive market system that rewards power generators for efficiency, and punishes them for poor execution.